A new age for the Gothic world has come and with little hope of it’s survival; dominated by the prestigious shadow of society, misguided by illusions of ironic virtues, came the sound of the night’s dying cries and chaos-symphony: the Black Vatican was born and their music spread like a hungry plague around the world. But like all sorcerers came to be, they were judged by their own ambitions as they faced previous trials. In the year 2014 came two cousins out of the broken valleys of Kansas City, singers/songwriters Erick Ramos and Jose Hernandez, after tasting the truths of life’s devious nature. Fueled by their passion for revealing the hidden roses beneath the ashes of broken societies, together they began expressing their love, hate, and fears through poetry and sound in hopes to ignite beautiful flames within those without a voice. Though without a band of their own they had to rely on software and imagination for a while. 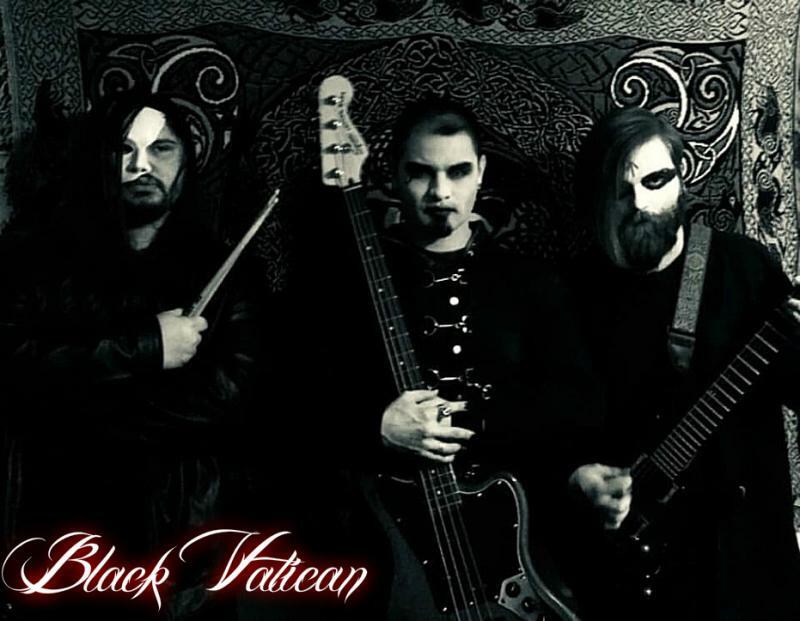 Within hours after creating their first song, The Darkened (Sacred) Wine, they made hundreds of fans from many parts of the world and with them came many musicians interested in joining the cult. Though not many could finish the tests, due to mutual understandings, and after many vigorous trials and setbacks the permanent members were set in scroll: singer/bassist Erick Ramos, guitarist Cole Roberts, and drummer Isaac Byrd. Their feelings then became their sound: darkness and light. Filled with dark elements mixed with beautiful keyboards and symphonies they create stories of woe and damnation yet also of hope and understanding. Their rhythms guide listeners to sing tragic tales that, without knowing, tend to reflect their own lives. They express this by combining sounds of several different genres into one from quick black metal riffs to industrial drums, from smooth bass sounds to torturous screams, all wrapped in the beautiful melodies of keyboards and choirs. The atmosphere is always bleak and dark yet with sparks of energy and power. Although the journey is long, their goal is certain: to spread their Gothic metal influence, sound, and image around the world. With EPs under their belts, a finished copyrighted album in their hands, music videos in display, and songs online everywhere their eyes are set on reaching the right record label with the help of their fans and promoters so that they can create the second renaissance for the Gothic subculture. “It comes down to this: we’re tired of hearing the same uncreative songs on the radio, online and such. They talk about too many things that no one really cares about. Most bands these days copy other bands so much that you think they’re one in the same and their subjects are pathetic. But what about the little subjects that evolve into bigger problems? Every culture, person, society has their own shadow, metaphorically of course, shadows that nobody wants to talk to and try to push away because they’re afraid that those shadows might actually reply. Our music helps give those shadows a voice, bring out those feelings so that one may continue to evolve. 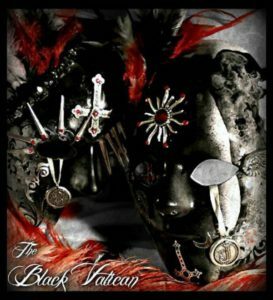 BLACK VATICAN has an underestimated power that, with given time, will become the new zodiac.” -Erick.